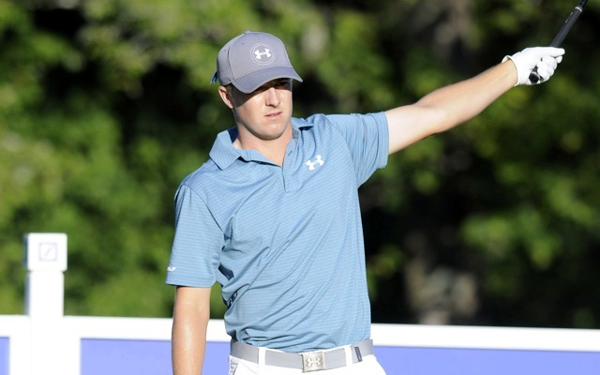 Jordan Spieth is on top again. And around and around we go. Jordan Spieth lost his No. 1 ranking to Rory McIlroy last week after missing the cut at The Barclays. This week, after missing the cut at the Deutsche Bank Championship, he will regain it. Such is life when the Official World Golf Ranking is involved. No matter what Spieth did, he was going to regain his No. 1 slot as long as Rory McIlroy didn't finish better than 10th (he's currently 30th after four rounds) and Jason Day didn't win (he's seven strokes back with nine holes to go). So Spieth is back as the top dog after, ironically, missing two straight cuts for the first time in his career. There's really no use in trying to figure out the tiny numbers that decide such things or who's going to be No. 1 the following week. The only thing that really matters is that any of these three can be No. 1 in any given week now. If none of them win the rest of this year, that will likely continue into the beginning of 2016.